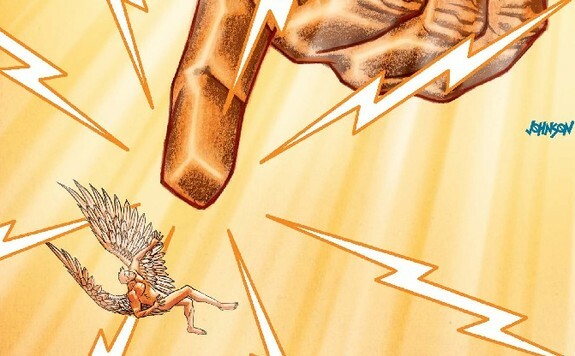 LUCIFER #9 Review | Warped Factor - Words in the Key of Geek. Gail Williams joins the fight for the throne of Hell. Meleos: …what is an artist without inspirations? Call me twisted, but that’s just brilliantly funny! I have been struggling as an ‘artist’ to write anything much the last few days and I can assure you it’s been a lot more trouble than usual. I can also see Lucifer’s side, so it was very nearly and LOL from both sides. Still - ringside seats, that’s what we’re all here for - including Lucifer. In Heaven the angles are weeping and in the great void they have no idea what the Presence (or God) has become. It looks like one of the Alien Queen’s eggs to me - but like I said - call me twisted. Takehiko, however, is with Rosemary, and he’s having second thoughts about going into the ring. Rosemary doesn’t mind, but it looks like Mommy Dearest has different ideas. So does Daddy, he’s not into hiding in the crowd. If it’s to be ringside seats, he’ll sit with Izanami and Rosemary. You know how this goes, banter and threat, threat and banter. Mazikeen and Takehiko clash, she’s not so pretty without the half mask by the way, and her sword isn’t as sharp as it should be - the joy of imps, huh? But then Mazikeen sees Lucifer and Takehiko turns on his father. Something is happening in the void. I'm not so sure we’re going to like this. I do like the comic however, another good read, good art, and unexpected twists. 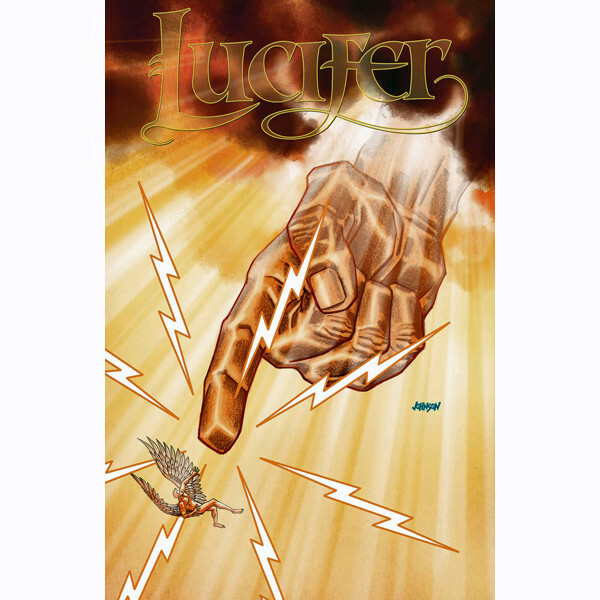 So I want to give issue #9 of Lucifer a five, but I have a feeling that something fairly spectacular is waiting for that accolade, so this one gets another four out of five - I don’t like what Take-a-hike-oh turns into, it could have been so much more impressive. The new face of fire and brimstone’s not much better, but we’ll give that one a chance to grow on us.